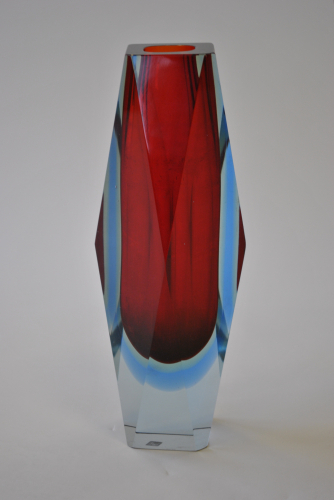 Exceptional and rare-sized vase by Luigi Mandruzzato. A wonderful example of the Sommerso technique of layering glass of different colours. 30 cm high and heavy. Has now been perfectly cleaned.